Bitcoin, Ethereum And Ripple Price Predictions: What's Ahead? Bitcoin, Ethereum And Ripple Price Predictions: What’s Ahead? It’s been a rough couple of months for Bitcoin, Ethereum, and Ripple, but we’re slowly starting to see an upswing in value compared to the major crash that we saw at the beginning of the year. Experts are divided, however, on whether the currencies will ever truly bounce back. Hindsight is 20/20, and many are keenly aware of that fact when it comes to the world of cryptocurrency. Those who got in on the ground level with Bitcoin, Ethereum, or Ripple enjoyed the meteoric rise that made many people multi-millionaires. As the market cap of these currencies grew into the hundreds of billions, they made the news time and time again for breaking record after record. The end of 2017 was a time of particularly high growth – especially for Bitcoin – and many people took the opportunity to invest in hopes that we’d continue to see this exponential rise in value, but they were disappointed in the beginning of this year as we saw one of the biggest crashes thus far. And herein lies the problem with cryptocurrency. While experts may opine on whether Bitcoin, Ethereum, and Ripple are here to stay, the fact remains that the future is anything but certain. While it’s possible to look at recent trends and predict that the future will be bright or dismal, the market has proven time and time again that estimates from even the more knowledgeable analysts can be proven wrong – and this is largely due to the uncharted territory the investment world finds itself in with these new virtual coins. Back before Bitcoin first made the news, it was a pet project of unknown origins with applications largely reserved for tech geeks. It’s possible now, however, to consider Bitcoin and coins like Ripple and Ethereum mainstream and part of the larger financial arena. Having this legitimacy added may seem like a good thing, but the increased regulation we’re starting to see may actually have a negative effect on cryptocurrencies as a whole. The main appeal of Bitcoin, Ethereum, and Ripple, outside of the fact that they have massive potential for profit if you play your cards right, is the fact that there is a low barrier to entry, they’re easy to transfer, and they’re usually completely anonymous. By introducing regulation in line with the traditional financial industry, all three of these benefits are being threatened. Add to these regulations the fact that Bitcoin, Ethereum, and Ripple are notoriously unstable, and it’s easy to see why many experts have concerns regarding the future of these investment opportunities. China, one of the biggest financial markets in the world, has been notoriously difficult when it comes to embracing the cryptocurrency, going so far as to shut down the largest exchange within the country, ban initial coin offerings, and even propose increasing a tax on Bitcoin, Ripple, and Ethereum mining companies – a major hassle for organizations that call the country home due to the low cost of utilities. The country has been far from alone in their disdain for the lack of regulation of cryptocurrencies, however, with South Korea taking steps to remove the anonymity around the transactions due to concerns about the currency funding organized crime, and Israel in talks about banning the currencies altogether due to the lack of regulation from the financial industry. 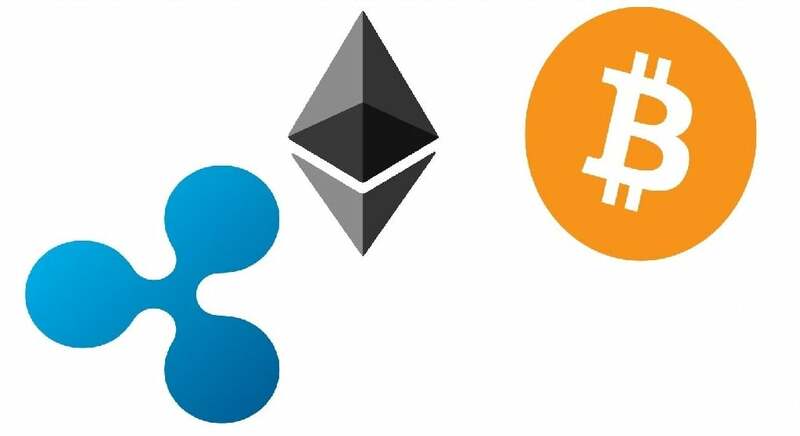 While Bitcoin, Ethereum, and Ripple have grown to unprecedented highs, that dominance may be threatened as regulators start to catch on to the fact that these fads are quickly becoming something more. As mentioned above, the market cap is in the hundreds of billions of dollars, so it’s impossible at this point for both financial regulators and other governmental bodies to look in the opposite direction. As Bitcoin, Ethereum, and Ripple start to gain more legitimacy and recognition, it’s unlikely that they will ever vanish completely from existence. It has been several years of continued growth at this point, and despite major crashes, the value is exponentially higher than it was at the beginning of 2017. Whether we’ll ever actually get back to the point where we were at the end of December remains to be seen, and experts on cryptocurrency are currently divided. Some analysts believe that the major crash we saw in the beginning of 2018 was just a minor blip on a continued upward trajectory, while others cite the changing financial scene discussed above as a reason that this “bubble” may soon burst. Which camp is right is anyone’s guess. So as far as what’s ahead for Bitcoin, Ethereum, and Ripple price goes, it’s difficult to say with any certainty. We can, however, predict with reasonable accuracy what will happen in the next few days. Although we saw a large crash with Bitcoin on Monday – though not nearly to the extent we saw in December – the currency generally seems to be picking up steam and could potentially slowly climb its way back up. Ethereum also dipped on Monday, but is bouncing back in a major way with a rapid climb over the past few days. Ripple strikes a middle ground between the two, recovering at a moderate pace after Monday’s dip. Outside of predictions of just a few days, it’s difficult to determine what the future holds and your outlook will depend on which experts you side with. If we continue to see huge growth over the next couple years, an investment now could be worth it. There’s an equal possibility you could lose a significant amount of money, however, making Bitcoin, Ethereum, and Ripple anything but a sure thing. We’ll just have to wait and see whether this is a boom or a bust.